35 Balkh Provincial Candidates’ Degrees Rejected | . :: Elections 2014 ::. The Ministry of Education rejected the educational documents of 35 Balkh provincial candidates, the Electoral Complaints Commission (ECC) officials in Northern Balkh province said on Wednesday. If the candidates' degrees are not approved by the Ministry of Education, they will be eliminated from the provincial council elections, ECC Commissioner in Balkh Wahidullah Niazi warned. According to Niazi, one of Balkh's candidates was eliminated because of forged educational documents. “According to the election law, the candidates have 72 hours to file any complaints against this decision,” Niazi said. “If ECC finds any more forged documents, we will take action,” Another ECC Commissioner in Balkh Walid Ahmad Formuli stated. The election law requires that each candidate at least have a high school diploma to qualify for the provincial council nomination. Five provincial council candidates were disqualified by the the ECC due to invalid educational documents in the past. After two weeks of investigations into at least 90 candidates' educational credentials, the ECC disqualified five on Monday without revealing their names publicly. Investigations into 300 more cases are ongoing. The provincial council campaigns began Monday night at 12:00 AM and are scheduled to last until two days before the elections, ending on April 3. The ECC took the opportunity to remind candidates to abide by election rules, warning the violators of legal consequences. 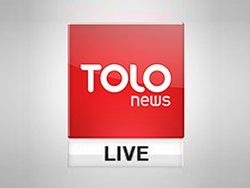 This is while on Monday TOLOnews received some video footages displaying a number of forged higher education and certification documents that were said to have been made in Pakistan. Afghanistan's General Consulate in Khyber Pakhtunkhwa, Pakistan confirmed that fraudulent credentials, most often education certificates, are forged in Pakistan for use across the border. The consulate claims to have recognized and confiscated around 80 fake documents. Some Afghan experts in Pakistan say that hundreds of Afghans have been recruited into governmental offices - even the Lower House - as well as universities by submitting forged documents.